Pave the way for investing in Hong Kong. Revamp the website to provide users with a dynamic source of information and services. An ultimate platform that made researching for information and connecting with sales even easier than before. 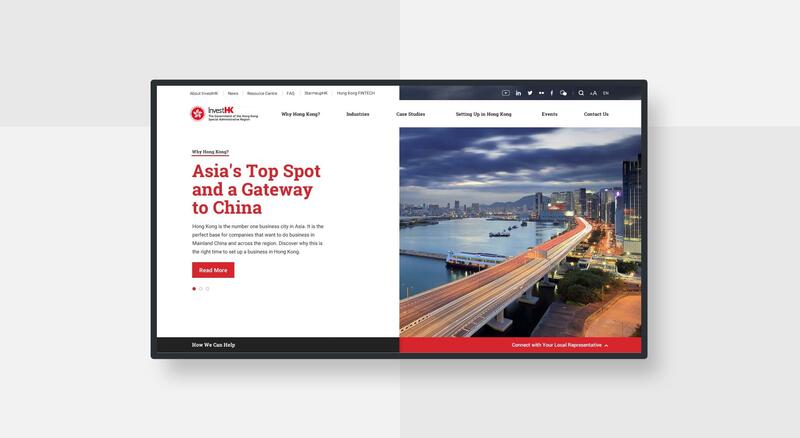 Together with InvestHK, we redesigned an informative website to attract and retain foreign direct investment with a clear guide for setting up a business and clear content segment. 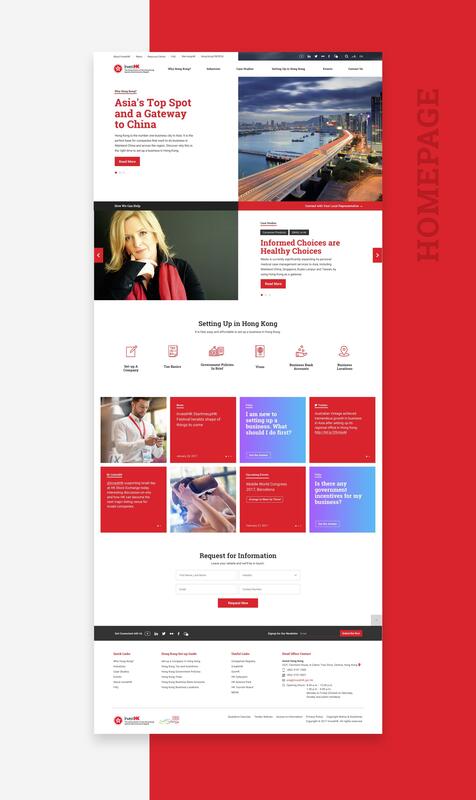 Over the years, InvestHK work with overseas and Mainland entrepreneurs, SMEs and multinationals that wish to set up an office or expand their existing business in Hong Kong, offer free advice and services to support companies from the planning stage right through to the launch and expansion of their business. To get a thorough understanding of how investHK.gov.hk plays a role in promoting Hong Kong to potential investors and how will this role evolve in the future. To understand the current-state we spent 4 weeks in research mode, focusing most of our energy in the requirement gathering workshop, questionnaire and user interview. 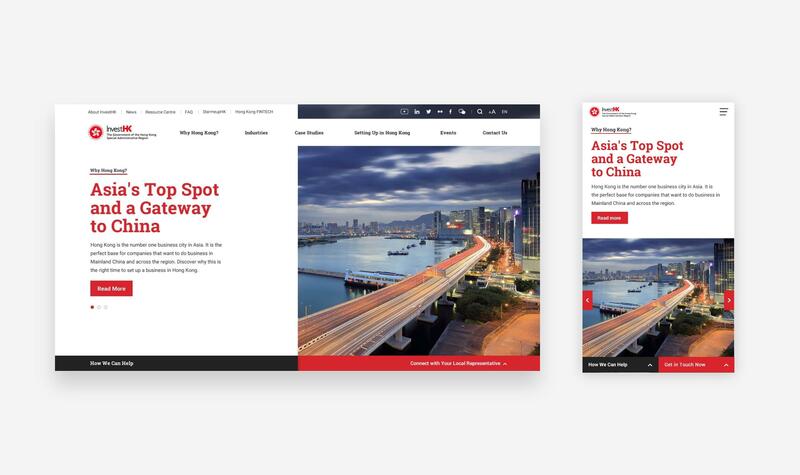 A complete UX strategy was conducted to ensure the website meets the needs of both business and users requirements, allowing InvestHK to offer a more dynamic source of information and services. In the requirement gathering workshop, we aligned different challenges and constraints of promoting Hong Kong to potential investors. 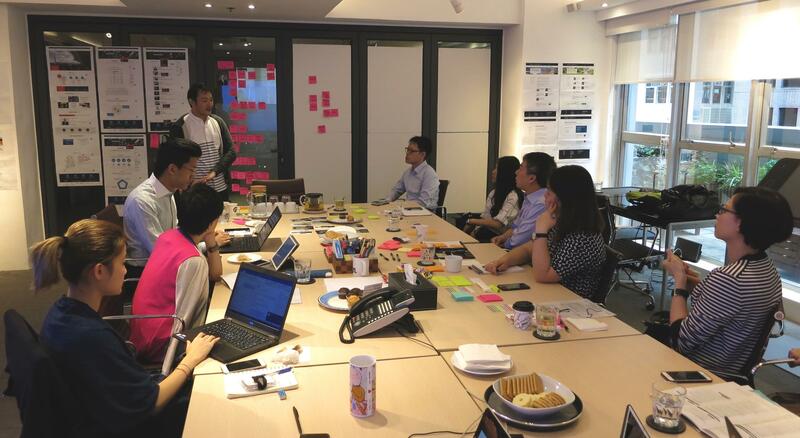 We also identified our target user segments and their problems on setting up the company in hong kong through building persona together. 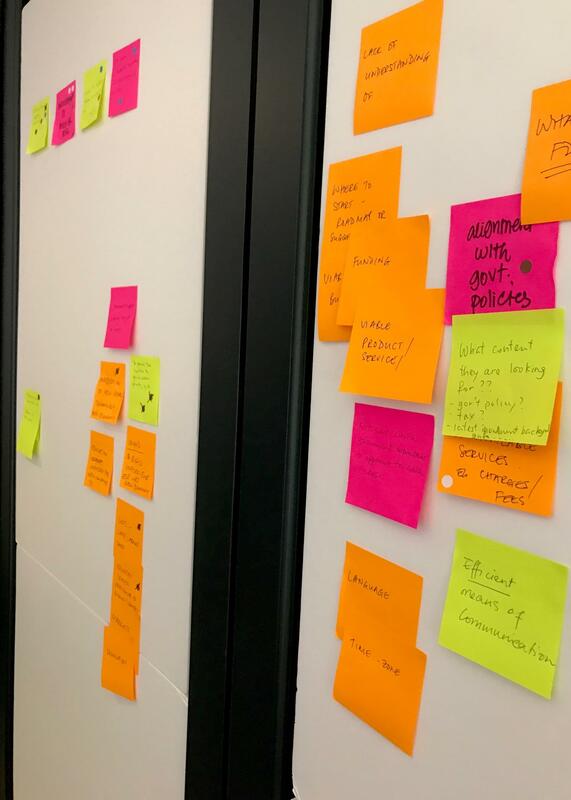 After building the persona, we dived into current conversion journeys which enable us to understand the current situation and the users’ pain points. In order to understand and align stakeholders’ expectation for the new site, we did a benchmarking session with the participants. 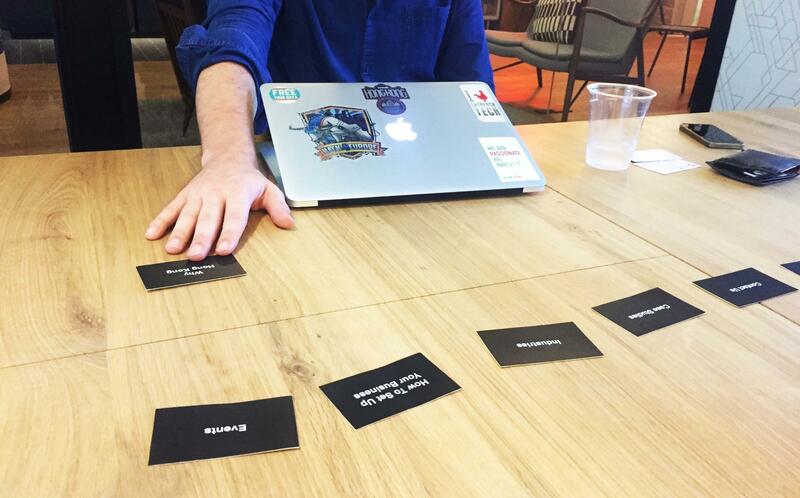 Taking a deep dive into different competitors’ website and pinpoint which part they think it is good or vice versa. 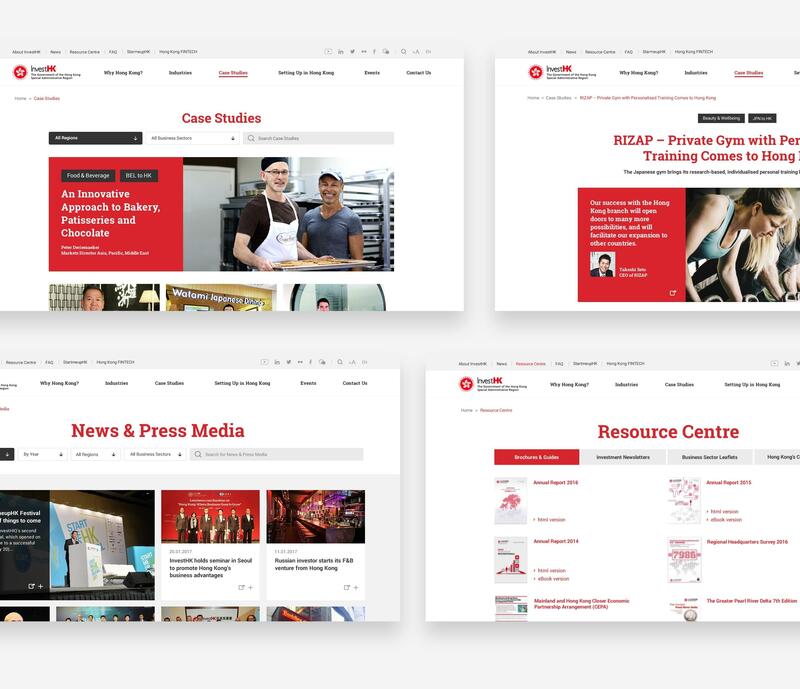 We also aligned different visions for the new site from different stakeholders. A survey was also created for stakeholders who were not based in Hong Kong. 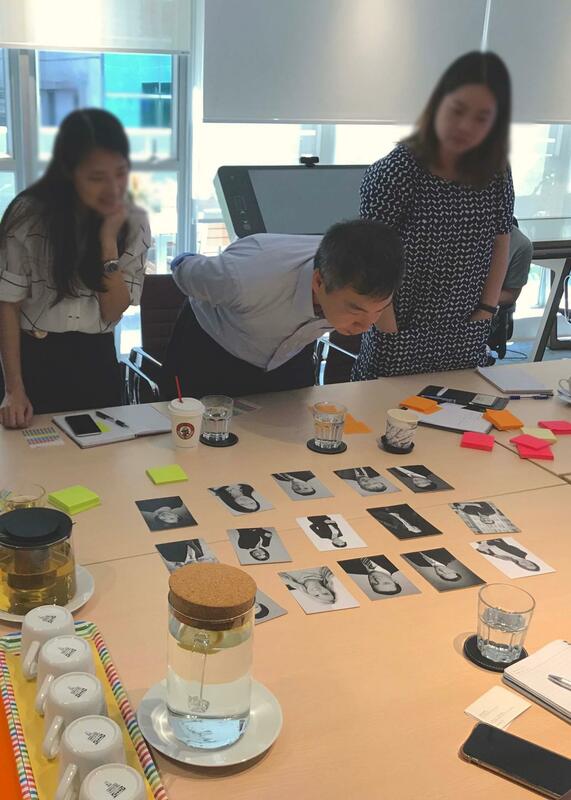 We conducted user interviews in order to have a thorough understanding of the users’ behaviour and their conversion journeys in relation to the conversation on setting their businesses up in Hong Kong. 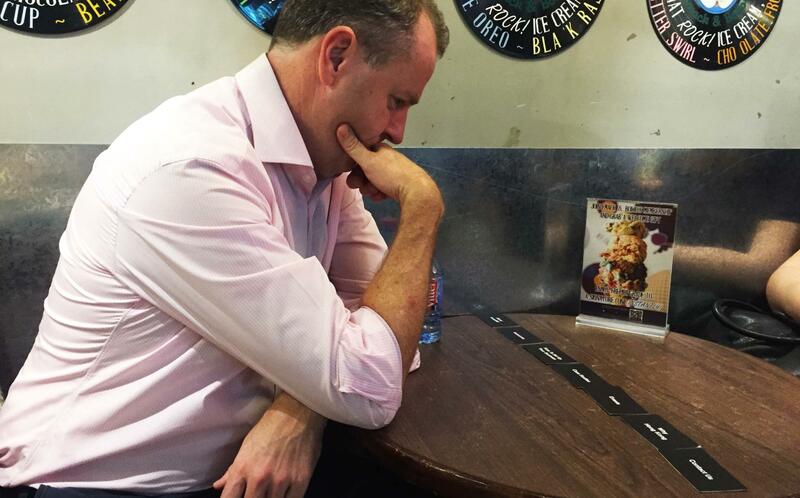 Answering important questions like: How did they find out about InvestHK? What factors or information is key and a priority to the users? What is their understanding of InvestHK’s role in their journeys? What are their conversion journeys and their pain points? 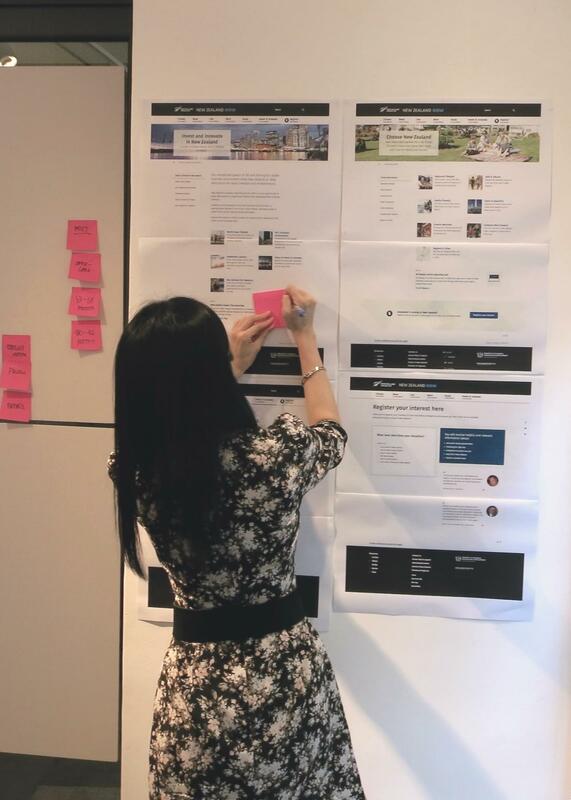 Using these findings, we identified ux opportunities and translated it into an information architecture and wireframes which used as a blueprint for designers to create layouts. A new website designed around informative and connection. Polling from best practices from modern web design, the site’s design and functionality are tailored to all no matter the device. We integrated a step-by-step guide to set up business in Hong Kong which enables users to understand the procedure more clearly. 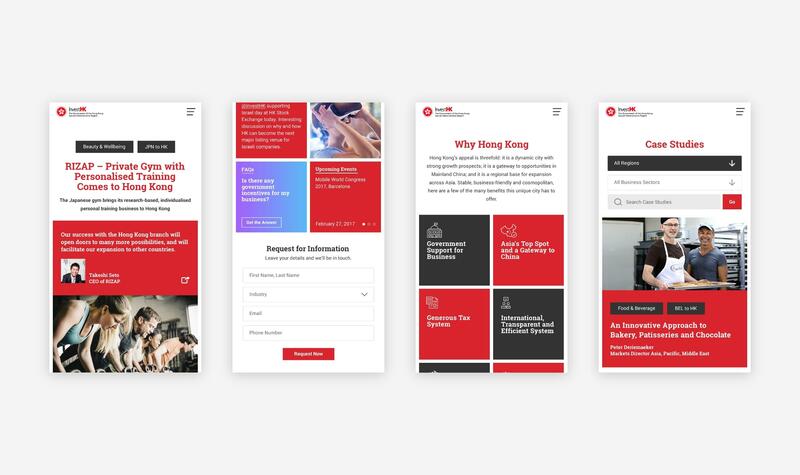 To clarify the role of InvestHK, we created a “How we can help” modules which remind and educate the users how InvestHK can help them. Case studies and white papers are also available to provide necessary documents to cater to users’ research stage. Filter tool allows users to narrow the case studies down according to industry and location.